Advertiser.ie - Knowing me, knowing you...ah ha! Knowing me, knowing you...ah ha! DANNY IS still trying to find the perfect spot for his Man United 1999 treble-winning team poster. April struggles to get through her last semester of college. They bond over a bad night out in The Wicked Chicken. 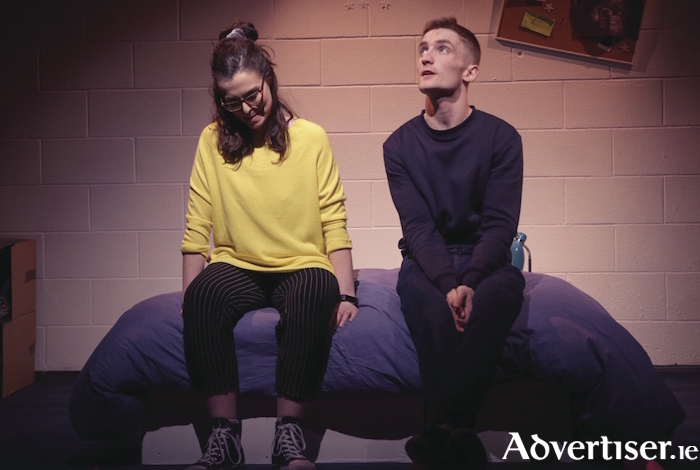 This is Knowing Nathan, the new play by Tony Doyle and Laura O’Shea, which runs at the Kirwan’s Lane Theatre, Busker Browne’s, on Wednesday July 25 and Thursday 26, at 6pm, as part of the Galway Fringe Festival. Heartbreak has taken the pair to very different places, and neither can find the way back to how it was before. On top of that they must navigate their love and an unexpected pregnancy. Writer and theatre critic Laura Marriott has called Knowing Nathan, "a beautiful play that moves with ease between humour and sadness; told with sincerity and skill”. Tickets are available via www.galwayfringe.ie and at the door. Page generated in 0.0732 seconds.